To celebrate the release of Rise of the Tomb Raider on Xbox consoles, Square Enix is discounting its Lara Croft GO game by 60% on the Play Store. It's a flash sale though, so you might want to hurry and grab it if the game seemed appealing to you or if you liked its spiritual predecessor Hitman GO. 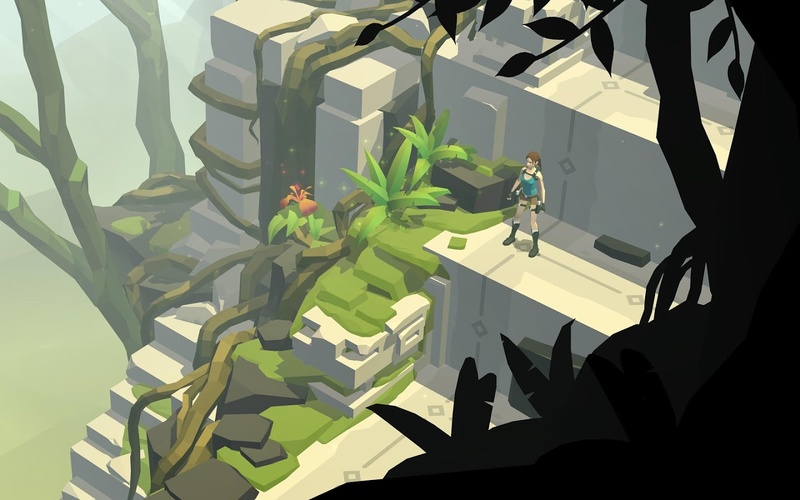 Lara Croft GO is a turn-based puzzle adventure, where you play your turn moving your character along predefined paths, then wait for your opponents to make their move. There isn't a lot of urgency in the game, so you can take your time exploring the 75 different levels and figuring out the best way to finish them, all while listening to a nice soundtrack and enjoying the smooth animations and low-poly-like designs. The 60% discount takes the game down to $1.99 from its regular $4.99 price in the US Play Store. It also makes it £1.49 in the UK, €1.99 in Spain, France, Italy, and Germany, CAD2.29 in Canada, and AUS$2.99. It's even discounted for me in Lebanon, which makes me think that the deal is valid all over the world, but I can't possibly verify that so you'll have to see for yourself. If you're eager to start exploring on the cheap, here's a link to get the game on the Play Store. I made the first search easy for you, but you're on your own for the rest. If you held off on the 60% discount, we have an even better deal for you. Lara Croft GO is down 80% to $0.99 from $4.99. The game is super well rated and definitely worth the price. It's also £0.79 in the UK, €0.99 in Spain, France, Italy, Germany, and plenty of other European countries, CAD1.39 in Canada, AUS$1.49 in Australia, and the equivalent of $0.99 in most other countries we checked. Grab it while you can.